years, he waited, bartended, and served as Assistant Manager. In 2000, his personality and professionalism made him a natural choice to serve as General Manager, and Squid's enjoyed unparalleled success during his tenure. His ability to connect with both our customers and staff were rewarded when he was named Managing Partner at Mez. 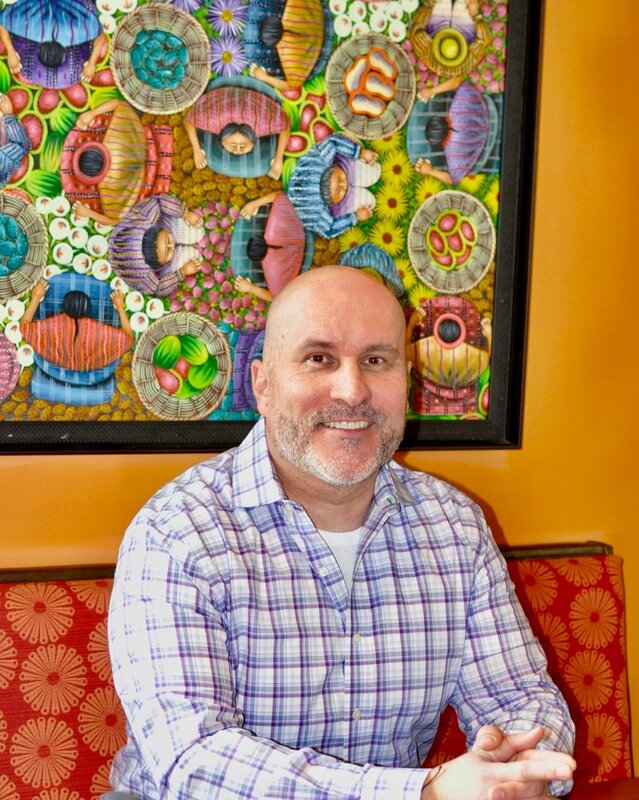 As an on-site owner of the business, Jamie is responsible for the day to day operations of the restaurant and he serves as our representative in the RTP and surrounding community. Caroline, a Chapel Hill native herself, attended Alamance Community College’s Culinary Arts program. Her growing interest to learn more about the hospitality industry led her to continue her education at UNCG in Hospitality and Tourism Management. After completing her degree, she set out to explore the many amazing countries and cultures of our world. Her passion for food & beverage, culture and fun led her to the excitement of the French Quarter of New Orleans. Now she is happy to be back in the great state of North Carolina, finding the perfect mix of fun, food and culture at MEZ. Kassi began working at Spanky's in 2007 while studying Mathematics and Statistics at the University of North Carolina. She fell in love with the buzzing atmosphere, spectacular fresh food and energetic staff that Spanky's exudes. She accepted the position as Floor Manager in September of 2012. Kassi's reliability, exemplary organizational skills and trustworthy relationship with the staff was a perfect fit in the management team. In December of 2014, she was transferred to Mez and Page Road Grill as the Banquet and Catering Director. In August of 2015, Kassi moved back to her home at Spanky's and graciously accepted the position as temporary acting general manager and then returned to the RTP restaurants to expand the role to CHRG Events Coordinator.